Liverpool are in the running for Brescia wonderkid Sandro Tonali, claims Gazzetta reporter Nicolo Schira. The journalist says talks with the Italian club are already underway and that Brescia owner Massimo Cellino (remember him from Leeds?) wants €35m for his prodigy. 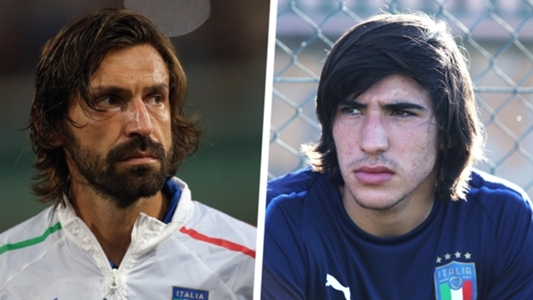 Tonali is rated extremely highly in his homeland and his ability to dictate play from central midfield has led to comparisons to legendary World Cup winner Andrea Pirlo. Any potential deal wouldn’t take place now, but at the end of the season in the summer of 2019. Tonali is a beautiful passer of the football and is showing enormous promise in Serie B despite being just 18-years-old. He can also run with it from midfield and has the vision to assist team-mates as well. Stylistically, we’re not sure where he’d fit in at Liverpool, considering in Fabinho, we have a more physically robust central midfielder who will likely be our first-choice anchorman long-term, along with captain Jordan Henderson. But at 18, it would be his talent and potential for greatness we’d be investing in. Should any deal happen, we imagine he could stay in Italy on loan while he’s learns his trade.